Are you feeling “skipped over” when it comes to God’s blessings in your life? Sometimes it’s easy to feel neglected when we look around at others who appear to be prospering and we appear to be getting the short end of the stick when it comes to God’s favor. We know from Scripture that God is a good God who loves to bless His children (Matt. 7:11). At the same time, God knows our hearts, what we are capable of struggling with, and what’s around the corner for us, so if He chooses not to bless in a certain area, that might even be a blessing in itself. You haven’t asked for the blessing. Scripture says “You do not have because you do not ask God” (James 4:2). And Jesus told His followers: “Until now you have not asked for anything in my name. Ask and you will receive, and your joy will be complete” (John 16:24). Start asking specifically and see what God wants to teach you about asking, trusting, and being thankful. Try asking God for blessings that will help you bless others. Or try asking Him to bless others first, rather than yourself. Psalm 37:4 says “Delight yourself in the Lord and He will give you the desires of your heart.” If He is your desire and your delight, it will delight His heart to grant your desires. I recently received an email from a man demanding to know why God wasn’t blessing him. He recounted one unfortunate situation after another and, in a tone of bitterness, expressed his utter disappointment in God. His email was littered with references to “I,” “me” and “my.” He never asked what he could do to please God, only complained at how God hadn’t pleased him. He didn’t talk about his obedience or any desire he had to be a child whose Father would be pleased to bless him. In fact, he never even referred to a Father-child relationship with God. God is not a glorified Santa Claus. Nor is He obligated to bless any of us. If you’re all about you, and what God is or isn’t giving you, God might be choosing not to bless your life until you become all about Him(Luke 9:23). When you die to self (Galatians 2:20), your focus won’t be on whether or not you’re being blessed, but on how to be a blessing to God. 5. God’s timing is different than yours. Have I hit on why God might not be blessing your life yet? If not, watch for next week’s blog in which I will give “5 More Reasons God Might Not Be Blessing Your Life.” In the meantime, which of these reasons gives you the most comfort or insight right now? I’d love for you to share it with me and my readers in the comment section below. Five More Reasons God Isn't Saying "Yes"
on Five Reasons God Might Not Be Blessing You. Number 5 resonates with me. I’m so impatient because I feel my time on earth is short and I’ve realized so few of my dreams. Knowing that he isn’t saying “No” but just “Not until you’re ready” gives me hope. 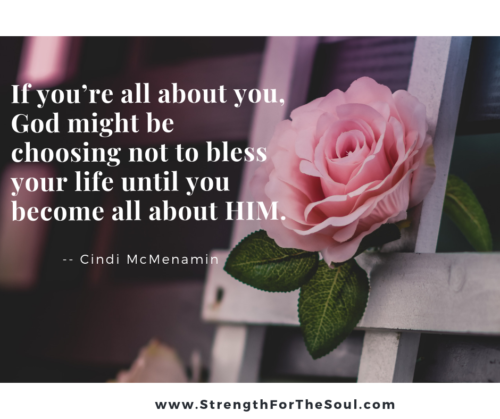 Cindi, thank you so much for your recent blog “Five Reasons God Might Not Be Blessing You”. While reading it, I realized that I have let the stress and rush of life consume me lately and have neglected to be grateful and spend more time with God. Thank you for bringing this to my attention with your kind, helpful words. You are truly appreciated and I’m grateful to have you. Thank you I needed to read that this week myself. It made me really think I need to set more time aside for God. To appreciate everything that he has given me. Thank you, Joanna, for your sweet spirit in wanting to be a grateful woman, rather than one who looks to God for what He can give us. I am encouraged by your words. Hello Cindi – new reader here. I found your article on ibelieve.com on ”how to know if an open door is from God”. It was such an interesting and an eye opening article that resonated with me and out of curiosity, I had to check you out and i am so glad that i did. Thank you for this blog post. to be honest, I have not been practicing a lot of numbers 1 and 2 but just recently, I have started doing that. I keep saying ‘bless me Lord’ instead of specifically asking him for a promotion at work. I am also applying the same principle in another request which i specifically mention by name each time i present it before God. I am also improving in number 2 because obviously, no body can do it for me except God therefore i strongly believe that He will do it for me. I have some questions on the article i mention above which i read on ibelieve.com. Please let me know if i can contact you privately for that. Hi. I’m glad you found me online through that article which has probably been my most widely-read article of all time. A lot of people have questions when it comes to God’s direction and leading in their lives. You can contact me at Cindi@Strengthforthesoul.com. I really try to get back to EVERYONE who contacts me with questions and comments. Looking forward to hearing from you. My husband always wants. He was a very hard worker. he does help others generally asking that they pay him back, if its monitary, in a reasonable payment plan. His main fault is not trusting God. He lost a 1 yr old to spinal bifida. He doesnt talk about it much but it hurt him badly n just cant keep the faith. So most of his desires are about himself. He believes but doesnt practice. Prayers that God shows him that He is there for him. He does know he is blessed in many ways n he doesnt take advantage of others. Thanks for your concern for your husband. Hurts in our lives can sometimes keep us from God, which is why I wrote my book, When a Woman Overcomes Life’s Hurts. While it was written specifically for women, since that is my audience, the “10 Steps to Healing and Wholeness” apply to men, as well. 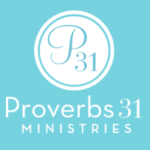 There might be something in that book that can help you encourage your husband as he deals with His pain and eventually (prayerfully) opens his heart back up to the God who loves him.